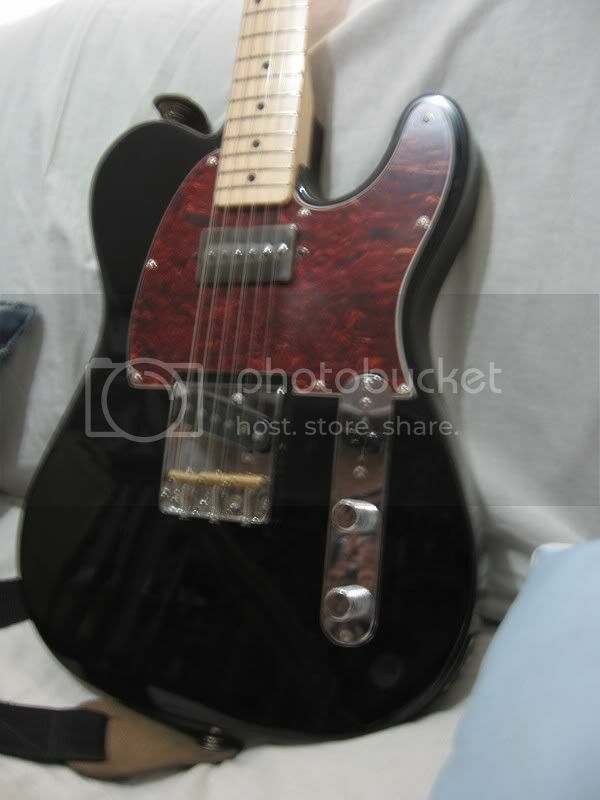 sir anong pickups ng tele mo?GFS ba yan?anong model?may hum pa ba? yup, GFS - calibrated tele pickup set Hot Lead Lil Puncher. sulit na sulit! 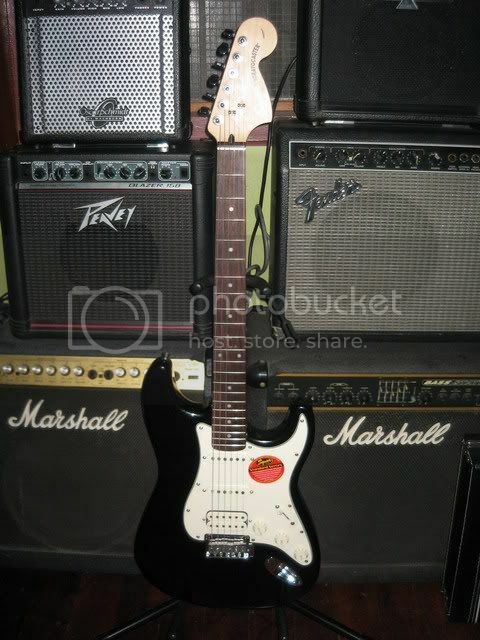 you just need to adjust a couple of things here and there.. upgrade pickups and you can rock yourself out! by default/stock pups are rockable when maxed produces a bit of a low grit overdriven sound. It cleans out very nice when vol pot is set way back, and not muffled like my Ibanez GIO. 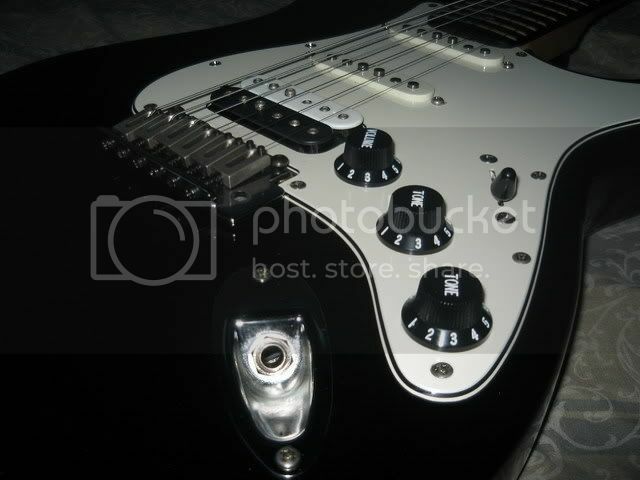 I'm satisfied with the stock alnico SC pick-ups of my fat strat. I only replaced the HB with a DM Super Distortion since its too bright too me. 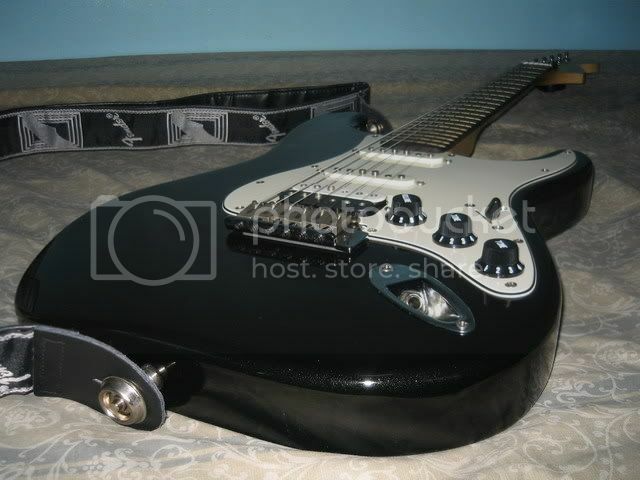 i also find my squier affinity strat (burst w/maple fretboard) too bright and trebly. i am not going to replace my stock sc pu's though. i'll just find a way to make them out of phase. also, the paint chips easily...which i like because it hastens the relicing process. 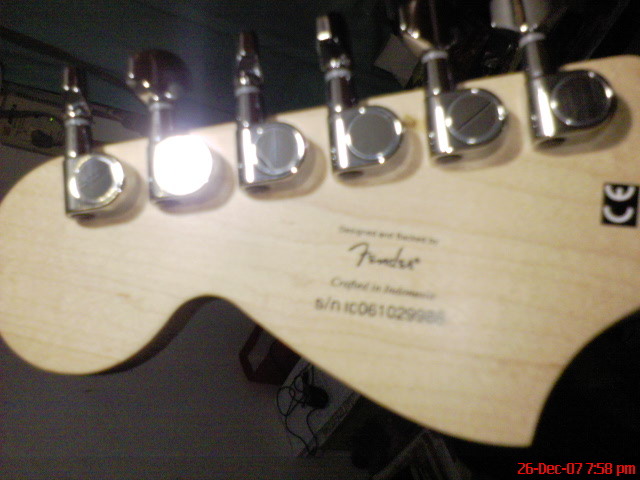 i also like its large headstock. 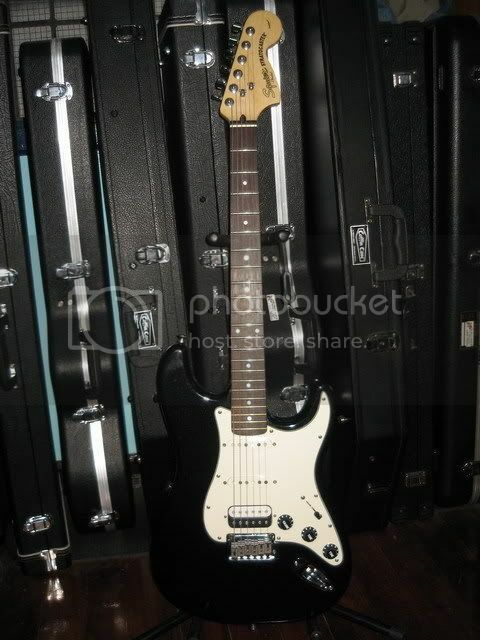 although i am really a les paul and rg person, i find my squier strat a very nice solid guitar. 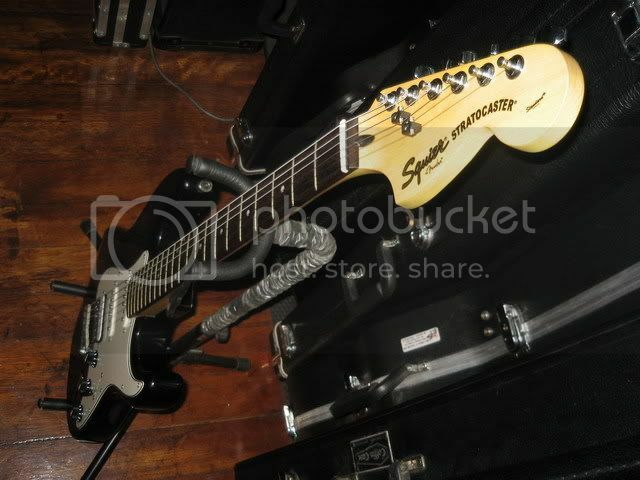 I like the brightness of the SC's on my Squier, it really sounds stratty IMO. It also excels in low gain to medium gain OD tones. It's a good match with my TS-7 and SD-2. 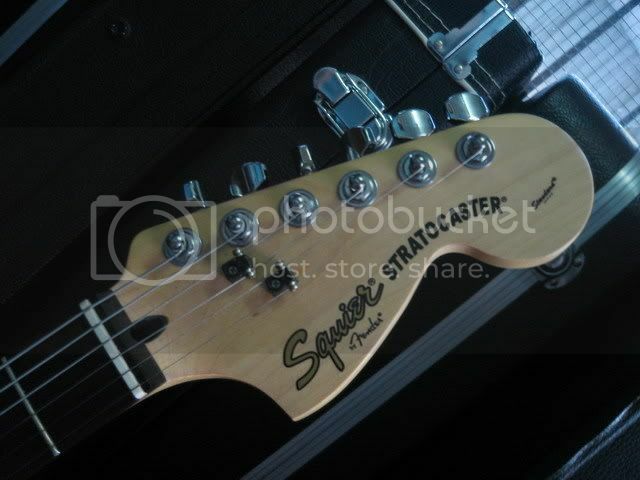 I like the brightness of the SC's on my Squier, it really sounds stratty IMO. +1 i agree with this. 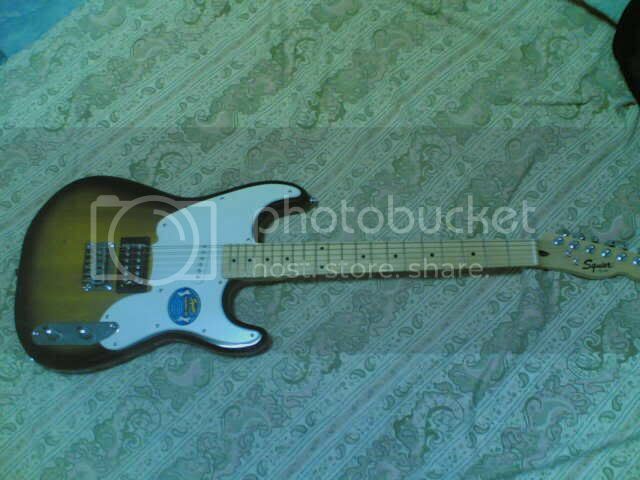 the only setback for me is that the sound/tone reminds me of ramon jacinto performing on stage with his strat. his licks are great and i try to cop him every now and then...but his dance moves...ack!!! This is how it look's like when I got it. Group pics with the other strats. I replaced the string trees with the roller type. I removed the back plate. 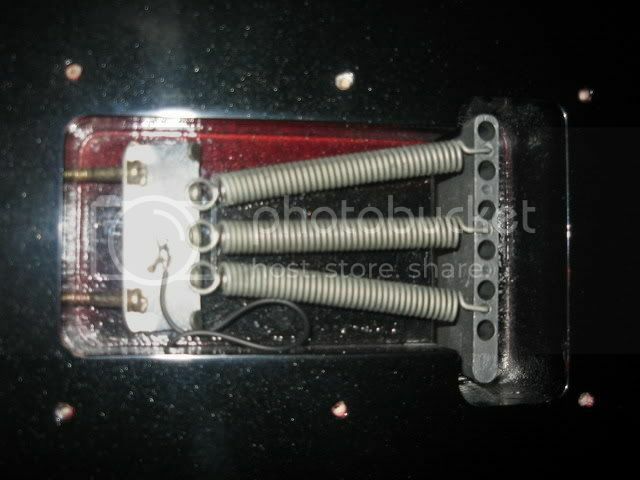 I replaced the bridge pick-up with a DiMarzio Super Distortion and the control knobs & switch tip with black ones. 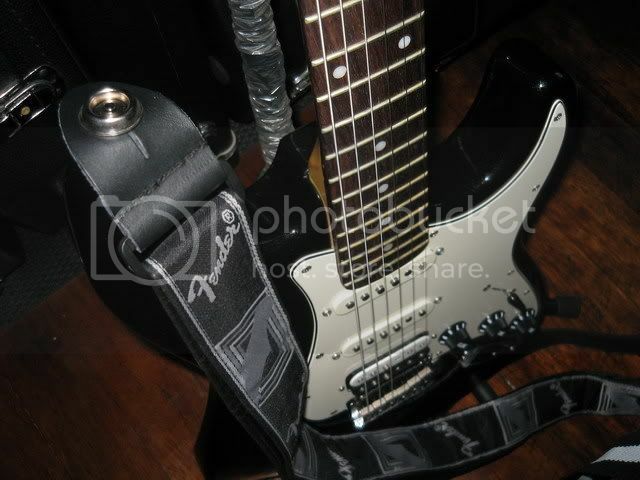 I also replaced the strap button with Dunlop straplocks and I use a Fender strap w/ this guitar. 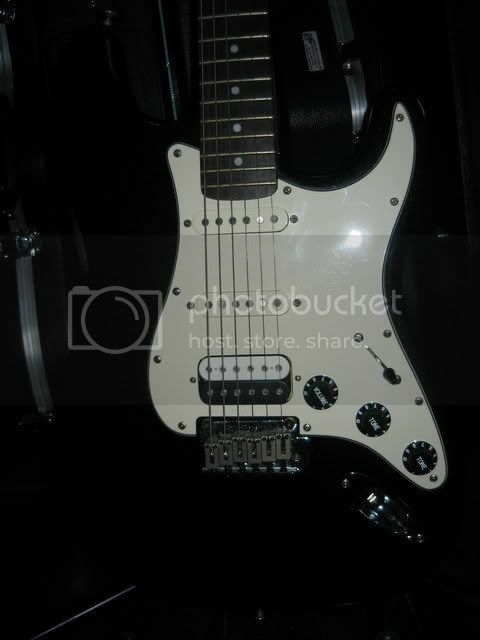 This guitar looks awesome. This is my all-around guitar right now. I'm still planning to do mods like having a bone nut installed and I'll have it rewired that one tone control is for both neck & middle pick-ups while the other tone control will be for the bridge. I'm also having a push-pull pot placed on the bridge tone control so that I can have the HB split for SC type sound in the bridge. It's a double fat Strat. 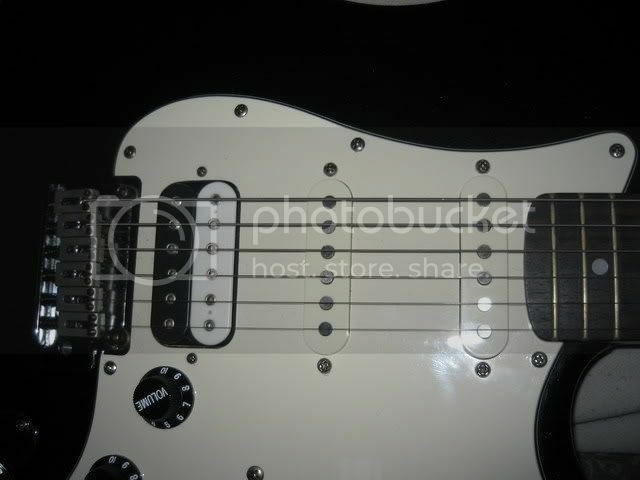 Double for the 2 humbuckers. 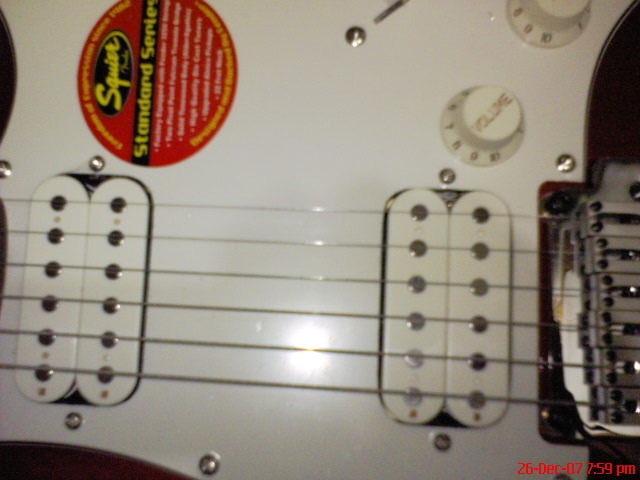 A standard fat Strat comes with H-S-S configuration, just like sir Allan's. 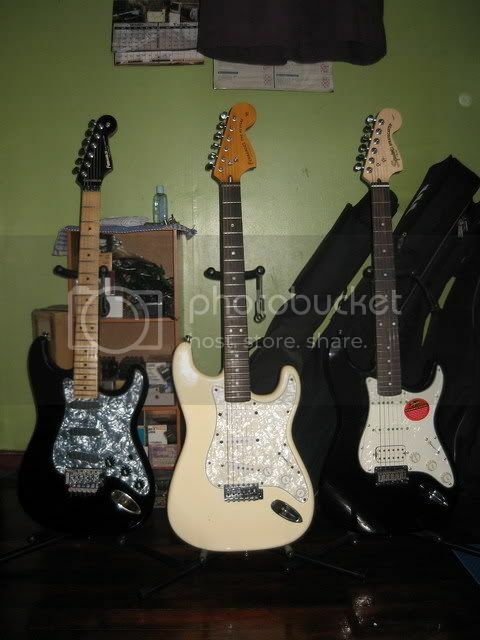 parehas tayo ng guitar! sarap gamitin no? Guys, quick question lng po. where can we check the serial # of squiers? May website ba kng saan ma check ntin mga to? 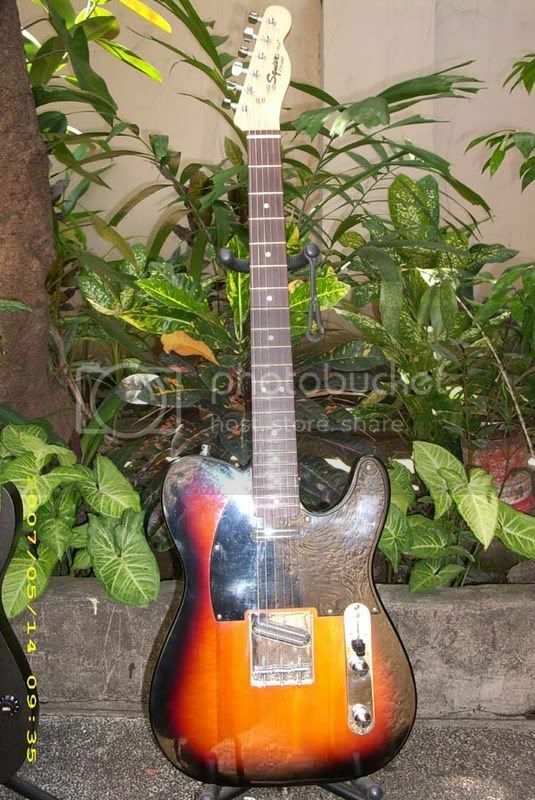 sarap naman tignan ng mga SQUIER tele!! 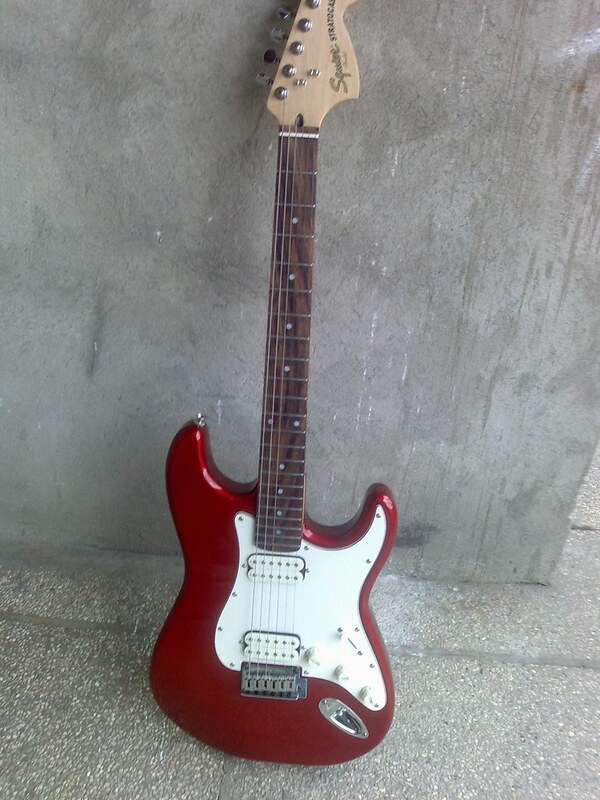 early 90's Fender Squire (Medyo dirty white pa ang color ink ng serial number) - made in Japan with Seymour Duncan "Jazz Model" in neck and Seymour Duncan "Hot Rails" sa bridge, push/pull and body string thru sya.. vintage blonde as per picture, solid maple neck and alder body..
Hey Ponky! I really like what you did with your Tele. What pickups did you install at the neck & where did you get them? Who installed them as well? 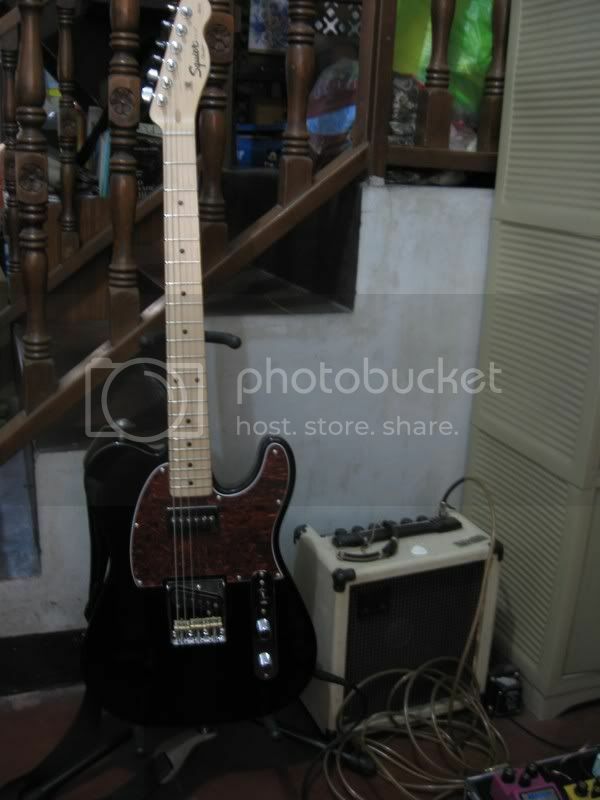 Favorite ko talaga yung iyo on how you "pimed" that Tele.. The neck pup is a GFS humbuck size P90. All set-up, including rerouting of the neck pup cavity & convertion from top loader to string thru on the bridge, was done by MAng Max Rufo. So far ok naman results sa pandinig ko . Not sure if will sound close to a real string thru tele. I might bring it sa National Gas day para ma pa-test sa mga expert. Bad Behavior has blocked 85819 access attempts in the last 7 days.